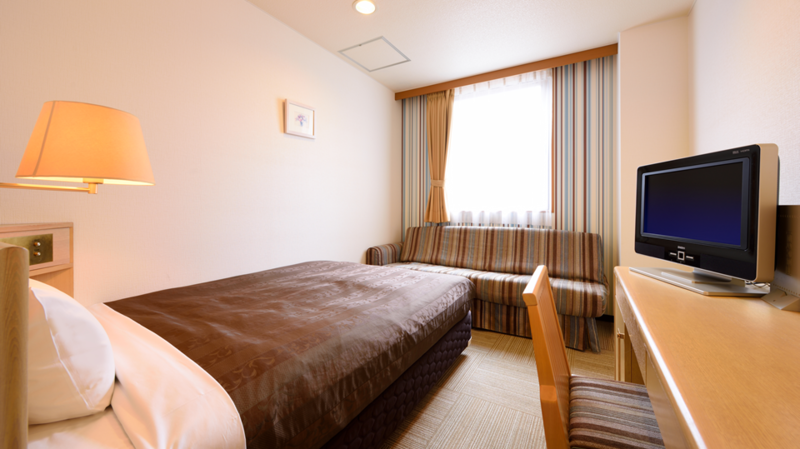 Semi-double sized bed and sofa bed. 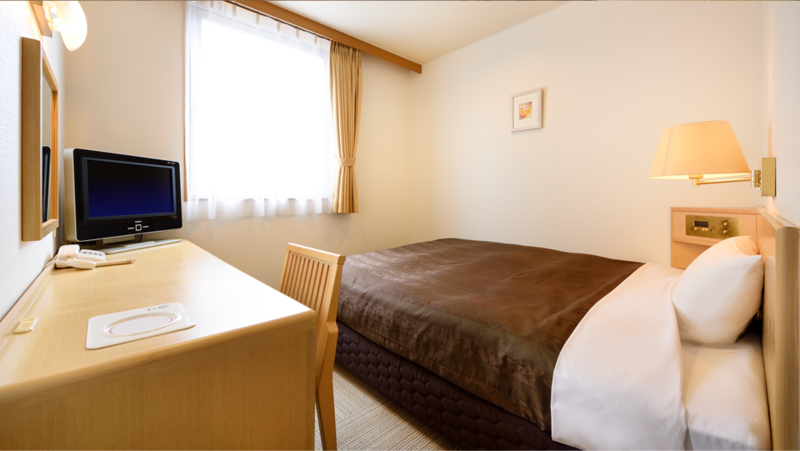 Equipped with a semi-double sized bed (120cm wide), a wide desk and sofa. Available as a twin room, using the sofa as a bed. *The room does not have a bath. Please use the public baths (with Jacuzzi), available 24 hours on the 1st floor. 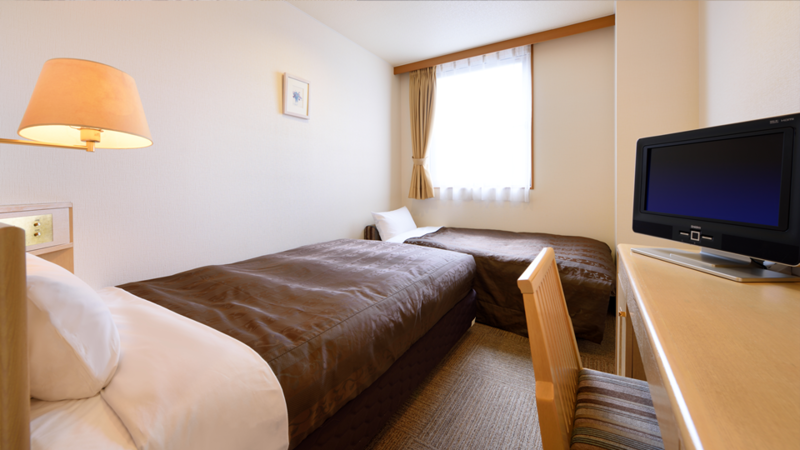 A single room with a double-sized bed. 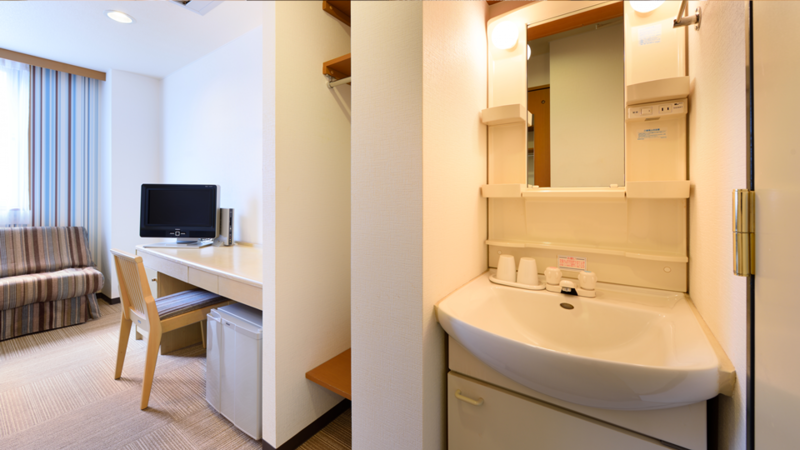 Equipped with a double-sized bed (140cm wide), a wide desk and a bath unit. Available for double use, the bed can be shared by two people. 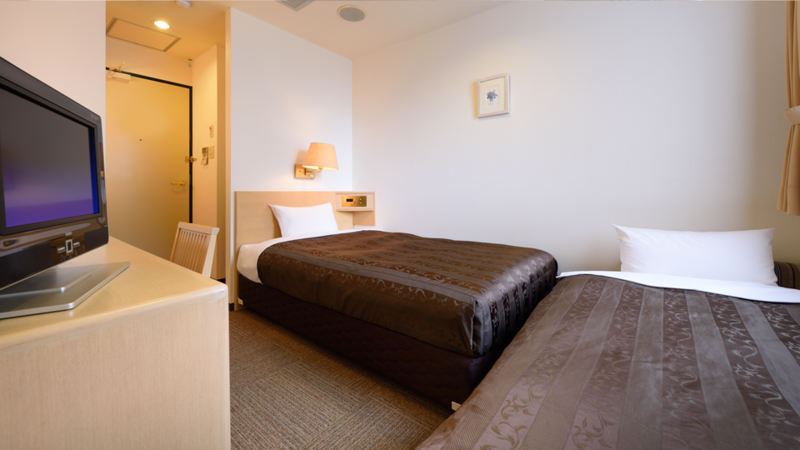 The public baths on the 1st floor are available 24 hours a day. 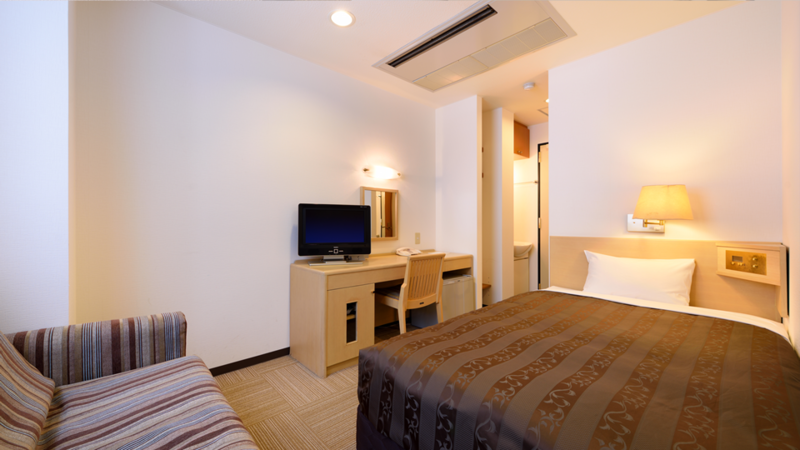 Our most spacious guest room, with two semi-double beds. 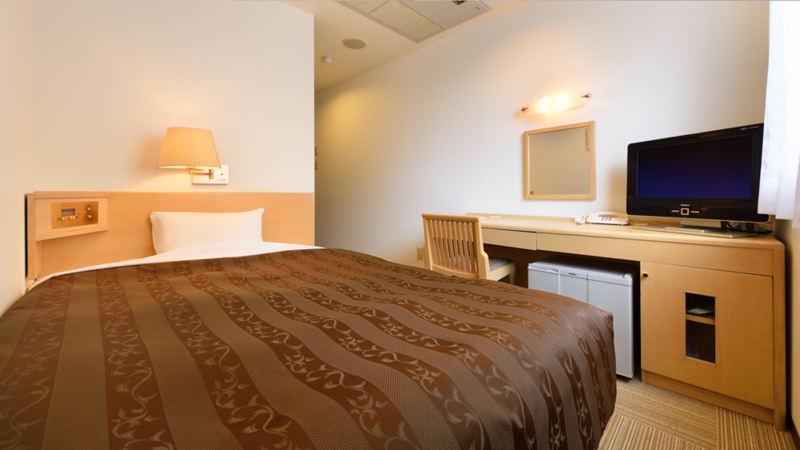 Equipped with two semi-double sized beds, this is the most spacious room in our hotel. 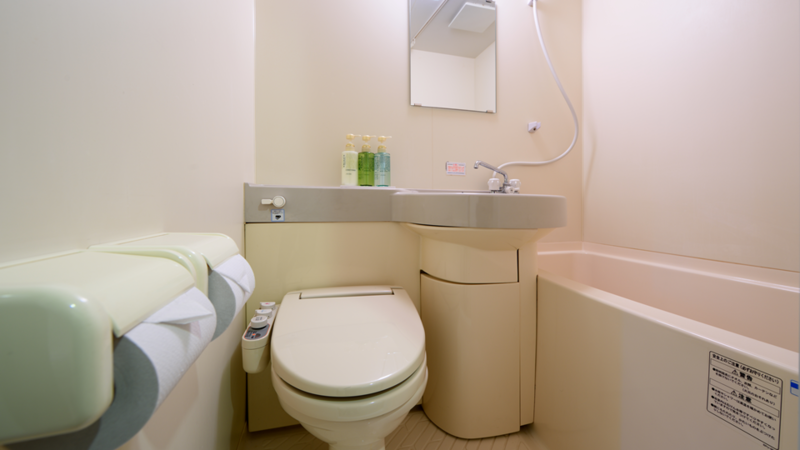 The room comes with a bath unit. Please also free to use the public baths (with Jacuzzi) on the 1st floor. A rarity around Sendai Station, open-air parking space for 23 cars only. 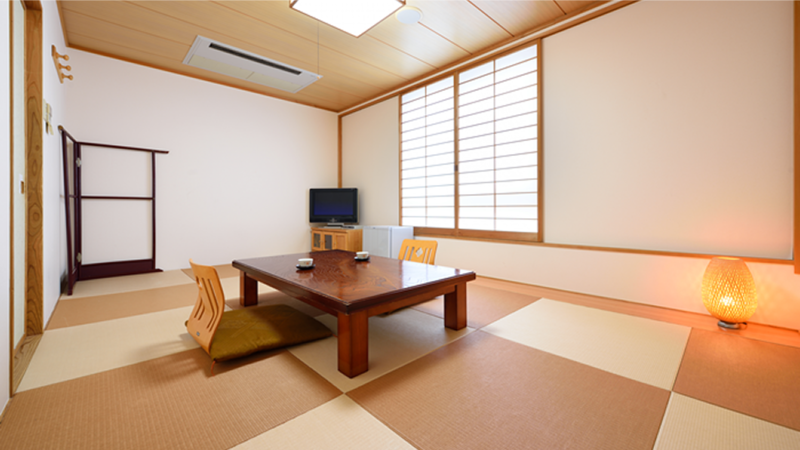 Our one and only Japanese-style room, an oasis of calm. 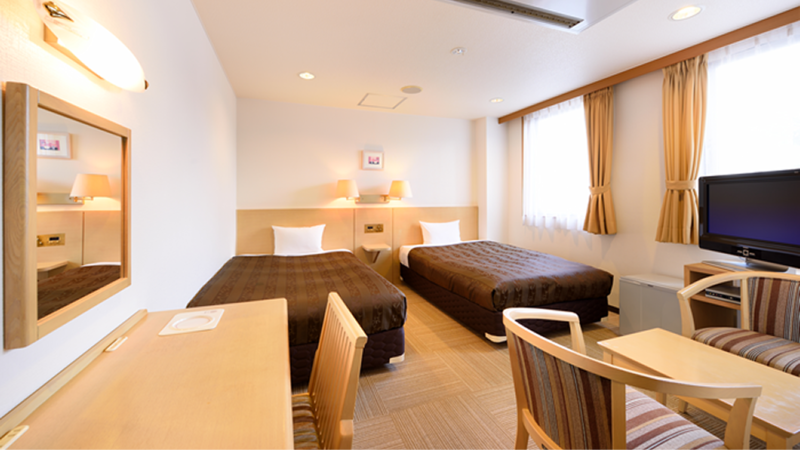 Accommodates up to 5 people. There are no beds. Please use the futons provided.